Meet on arrival at railway station or bus stand, check into hotel. After fresh-up, start Mysore Sightseeing. visit Chamundi Hills to pay your obeisance to Goddess Chamundeshwari. On the way back to city you will see Statue of Mahishasura and Nandi. Later visit and the Mysore Zoo, one of the oldest and well maintained zoo in India. 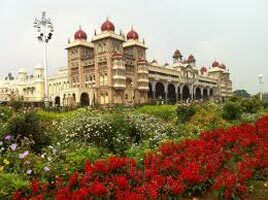 And after visit Mysore Palace, one of the largest palaces in the country and Jaganmohan Palace Art Gallery. Later beautiful St.Philomena's Church - the most majestic churches in India. Drive to Srirangapatna were you will visit Sri Ranganatha Swamy Temple, Tippu's Summer Palace, fort, Gumbuz. Later by evening Brindavan Gardens a show garden that has botanical park with fountains as well as world famous musical fountain. Overnight stay at the hotel. After breakfast, check out and proceed to Ooty. En route enjoy National forest wildlife safari. On arrival to Ooty check into hotel and overnight stay at Ooty. After breakfast, proceed to Coonoor by Toy Train. Cab will reach by road and take you for Coonoor Sightseeing - Sim’s Park, Lam’s Rock, Dolphin Nose, Tea factory and Doddabetta Peak. Later in Ooty sightseeing - Rose Garden, Ooty lake, Botanical Garden. Overnight stay at Ooty. After breakfast, relax. 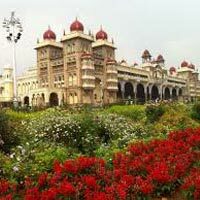 Check out hotel and proceed to Coimbatore / Mysore to board your train or flight to onward destination.